Mike Yip Chi-chung’s works are characterized by cross-boundary approach in cultures, traditions and genres, as well as experimentations of new performance practice and improvisation. 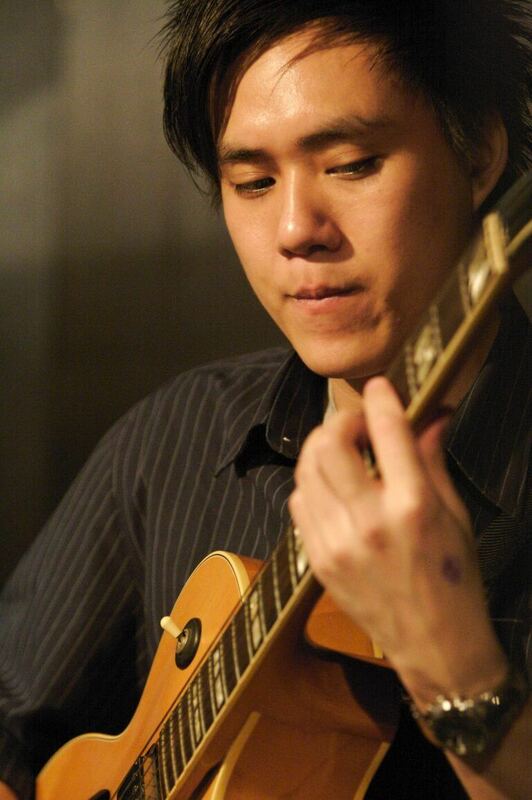 He studied jazz guitar with renowned guitarist Eugene Pao in the 2000s, and was active in performance ranging from rock, jazz to experimental music in the past 10 years. Yip has also been one of the ensemble associates of Hong Kong New Music Ensemble since 2016. Deeply attracted by the aesthetics of contemporary art music, Yip pursued postgraduate studies in composition at The University of Hong Kong under the supervision of Chan Hing-yan. His studies mainly focuses on the exploration of the potential use of electric guitar in the concert world, as well as the combination of electric, western and ethnic instruments, signal-processing effects and technology. In 2015, Yip was commissioned by M+ for “Mobile M+: Live Art 2015” as the composer and guitarist for Ming Wong’s theatrical work Looking At The Stars (for two Cantonese opera singers, huqin, electric guitar and percussion). His contemporary jazz group Mo-Men-T has recently collaborated with Swiss jazz composer and saxophonist Christoph Grab from Zürich University of the Arts at West Kowloon Freespace Happening 2016. The group has also released two albums Compositions & Improvisation and Infinite Lines in 2012 and 2013 respectively.